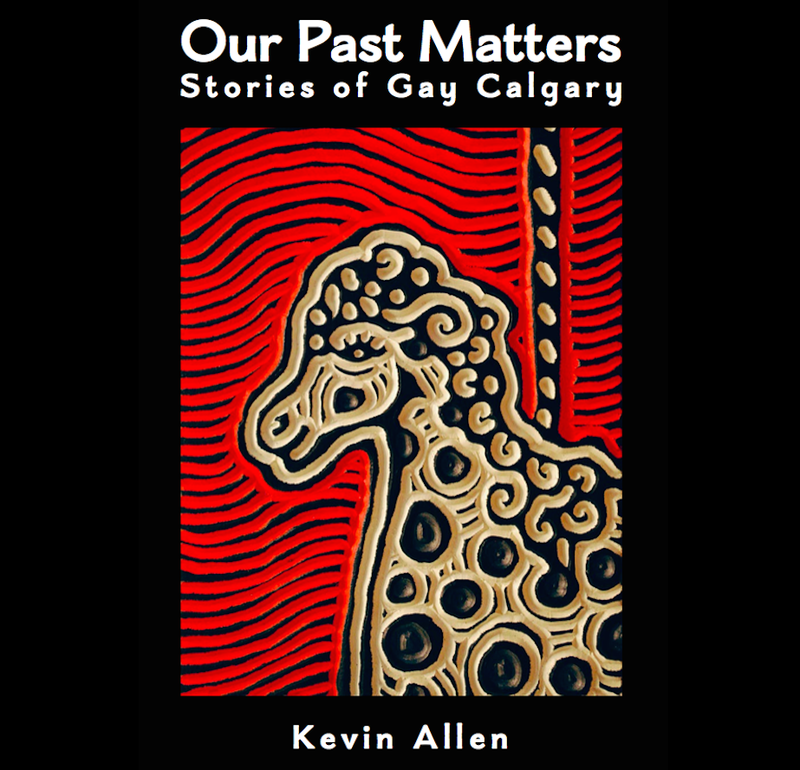 It has been a busy couple of weeks for the Calgary Gay History Project. It seems like we’ve met with a tonne of people in Calgary recently, and on the West Coast this week. Thanks to: Gene, Joey, Tereasa, Lisa, Aaron, Lara, James, Melody, Mark, Geordie, Nigel, Jim and Ayanna for all of the feedback, memories, stories and positive regard. However, I want to make a couple of special mentions. The Friday before last, Terry MacKenzie donated 4 bags of books to the history project – early gay readers, handbooks, social studies, and manifestos that will assist us as researchers in putting our local findings into a cultural context. 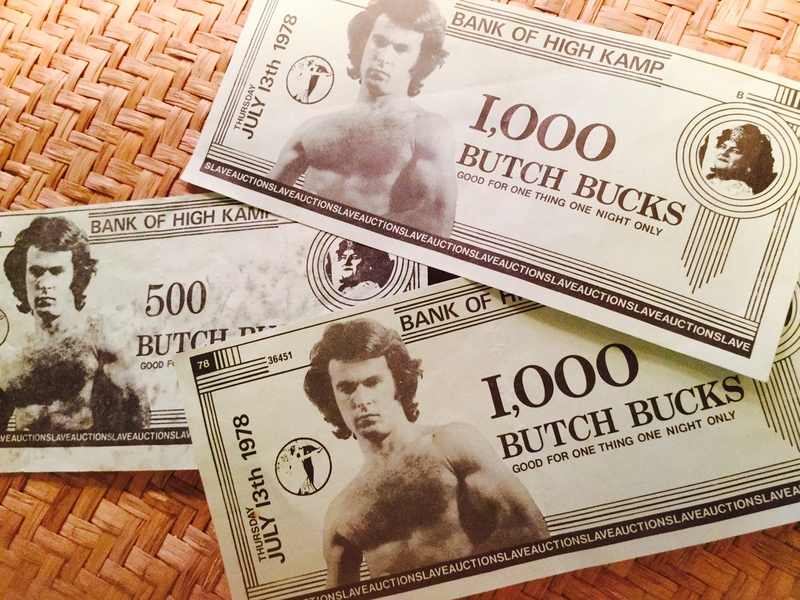 Perhaps the most notable contribution though are the Butch Bucks that Terry uncovered. Sourced and retained from some fun event in Calgary in 1978 (Terry thinks the Parkside Continental perhaps), this alternative currency predates Calgary Dollars significantly! If reading this you remember more about Butch Bucks and their origins, please contact us at the project, to fill in the details. This week I was twice at the BC Gay and Lesbian Archives to meet with archivist and historian Ron Dutton, who has been working on the project for 39 years! The archives, containing 750,000 items are amazingly in his home, but he maintains the collection as a publicly accessible archive. Ron is passionate about our community’s history and a real inspiration for the much younger Calgary Gay History Project. To get a sense of Ron and his mission check out this Vancouver Courier produced video about the archives. Thank you Ron. Thank you Terry. This entry was posted in Gay history and tagged Alberta Historical Resources Foundation, BC Gay and Lesbian Archives, bisexual, Butch Bucks, Calgary, gay, Gay history, lesbian, queer, Ron Dutton, Terry MacKenzie, transgender. Bookmark the permalink. Did you know that Clint Beaton owned and operated The Park-side Continental? He now works for the city of Calgary in the gardening dept. Is he still there? Old MRC buddies would like to contact him! !